"Why do you think Magic is so successful?" I get asked this question a lot in interviews. Something I always say is that one of the major reasons for Magic's success is that it isn't really just one game—it's a hundred. Want to play competitively? Sure. Mostly interested in collecting cards for the art? Absolutely. Enjoy building decks that showcase intricate combos you found? We have that, too! No matter how you like to experience games, Magic offers you the ability to not only go find it but to go really, really deep into it. And there are a lot of Magic players out there. New ones. Old ones. People who play on the kitchen table. People who play on the Pro Tour. Legacy players. Commander players. Pauper specialists. There are even plenty of people who don't play that much, but just read about Magic. It's one of Magic's greatest strengths. However, all of this makes creating Magic a very interesting challenge. How can we make all of these different players, experiencing Magic in all of these different ways, happy? It's a tricky riddle. Whether you've been playing Magic for 20 years or are just starting, we need to make sure there are pieces of the game for you. Fortunately, Magic does have a trick up its sleeve: products. Over many years, we have slowly built and adjusted a portfolio of products to try and hit different groups of Magic players. And it's never a finished process; we're still experimenting and trying to get things just right. It is crucial that, for each product, we as architects and designers know its intended audience. By identifying who it is for—or who needs to be interested in it—we can make decisions that ensure each product reaches and resonates with the right segment of our audience. What do I mean, and how do we use this to architect our products? Let's dive into that today. I'm going to start with a very simple product. Don't worry, we'll dive into some juicer stuff later, but I think this makes a good place to start. Inside each box is a little insert explaining some basics about Magic and, most importantly, two 30-card decks. We distribute these for free, so that your game stores can give them away to new or potential Magic players. That way more people can try Magic. So, who is our audience for this product? Well, it's nestled right up there in the previous sentence: new or potential players. As a result, everything about this product should make the experience for that person as good as possible. 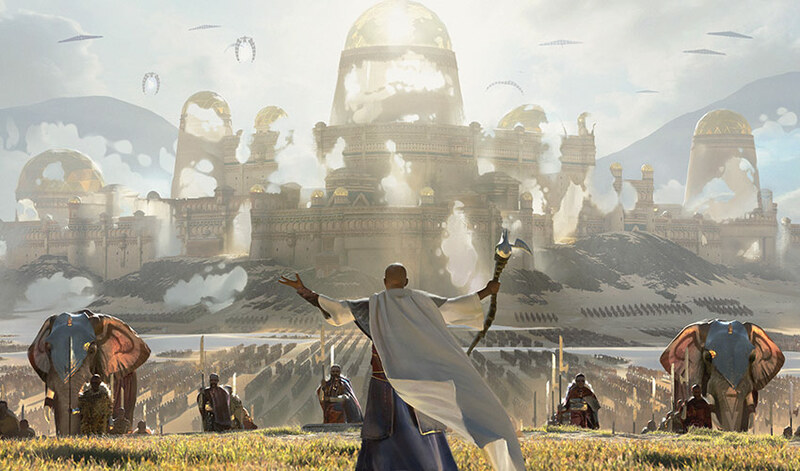 Should it contain incredibly complex cards from across Magic's history like Eternal Masters? No. Should it contain new cards targeted at Legacy players? No. Should it even contain some of the new mechanics, like enrage, in the set around it? No. This product should be as simple, yet exciting, as possible for brand-new players. That's the audience it serves, and that's who everything should be maximized for. We try and make the gameplay very understandable and approachable, without elements like on-board tricks or incredibly complex cards. All right, so that's welcome decks down. I think we can all, hopefully, agree that welcome decks shouldn't have new cards targeted at competitive Legacy play in them. Agreed? Agreed. With that in mind, let's look at another product. Who is the audience for this product? Well, I'll give you a hint: it's in the name. Now, it would naturally follow that our goal is to make these exciting for Commander players, both current and potential. Commander is one of our most popular formats, and we want to provide an infusion of cards for established Commander players. Additionally, we want to create an on-ramp to the format. 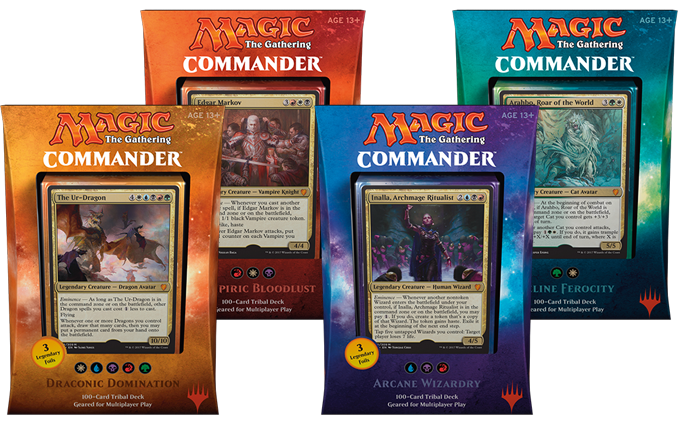 This product lets players who are interested in Commander, but are worried about building a 100-card deck of their own, simply pick up a ready-to-play deck out of the box. You can even buy all four and have a great "biodome" experience, leaving them intact and playing them all against each other in a similar fashion to a board game. So, each year the team working on these decks spends a lot of time trying to make the most fun cards for Commander, with an eye toward other casual formats. This all makes sense. Commander is generally targeted at non-tournament play. And yet, there's an interesting phenomenon: every year many Legacy and Vintage players follow the Commander previews very closely. Making cards for Commander decks means you get to create some admittedly quirky cards, because they bypass both Standard and Modern and can use mechanics from throughout Magic's history. But these cards are all still legal in Legacy and Vintage. So, you're not just infusing cards into Commander, a very casual format; you're putting cards into a very competitive pair of formats as well. Yet this isn't currently our intention for the product at all. Now, when we're designing Commander sets, we try to be very careful when thinking about cards for Eternal formats. Play Design does careful passes to try and make sure everything is safe for Legacy and Vintage. And if we do think there's any chance that a card might show up in Legacy or Vintage, we try to make it something reactive rather than proactive. Those cards have a much lower chance of being an issue; Flusterstorm answers a problem, whereas True-Name Nemesis causes one. This isn't to say we're never going to print a card in a Commander set that sees Legacy play ever again. (And, knowing how this works, I'm going to write this and then have the next Commander-focused release break Legacy somehow.) But we're careful to monitor it, and we try not to make a big impact intentionally. So if you're a Legacy or Vintage player and you're combing the card list for a new Commander set and there's nothing you think you'll play in your format—that's on purpose. We aren't making the cards to be for Legacy or Vintage, even though they are legal in your format. 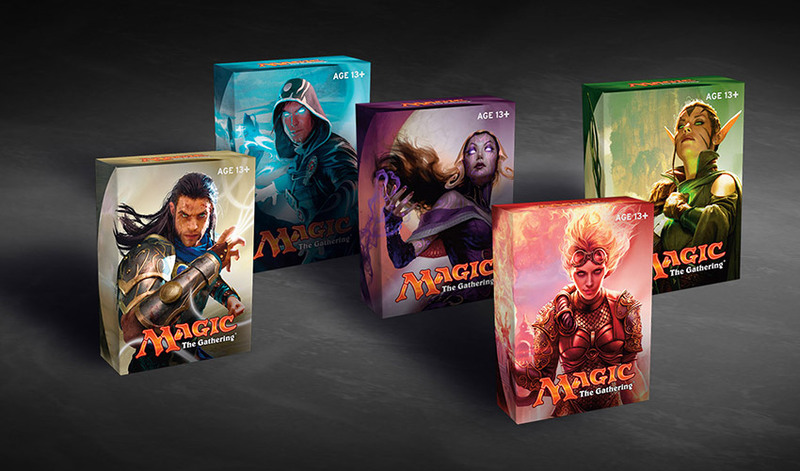 But it's okay that this set isn't for you, because there are other products, like Eternal Masters, main sets like Rivals of Ixalan, and, to some extent, innovation Draft formats like Conspiracy, that are absolutely for you. We do care about you and are thinking about you when we're designing. I promise. Though maybe it's surprising to say now, we really had no idea how well Unstable would do. I mean, we all knew it was fun. We loved playing with it. We were confident it had enjoyable cards and concepts. But the previous Un- sets proved to be sets most players enjoyed reading about online without actually playing with or owning any of the cards. After all, many of the Unglued and Unhinged cards were on the weaker side, and you couldn't play them in tournaments otherwise. Well, I'm happy to report Unstable has changed that tune a bit. 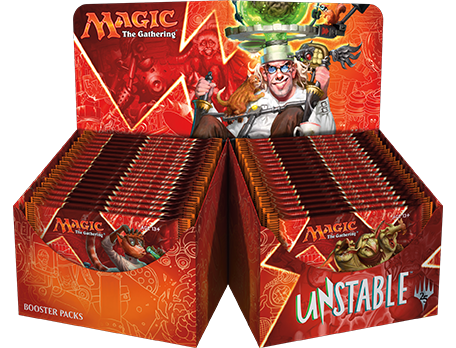 Unstable has gone on to be one of the smash hits of the year, and is beloved by players. I'm so glad that you all loved it this much! And a huge part of that is how we expanded our audience. The casual player who loves kooky fun is going to be drawn in by Unstable, of course. And everything we've seen showed that most players loved Unstable when they played with it. But as architects, we had a question to answer: How could we get people from all over to be interested and play with a set that they might think wasn't for them? The secret was all in making sure we included things for a wide audience. With some products that already have noted success in current-day Magic, we like to go very specific on what the product's core demographic is. For example, we know now that Commander decks have an audience of many, many Commander players who want them. However, back at the beginning, we included cards like Flusterstorm and Scavenging Ooze partially as a safety net; even if there weren't as many Commander players as we thought, we could at least interest the Legacy players. And, as noted above, we've since moved away from that exactly because we don't need to do it anymore. Cards specifically designed with Cube and Commander in mind, for playgroups who are okay with using them. These are elements that can grab the attention of players outside those who might normally play Unstable. It entices them to come in, give it a try, and maybe keep playing if they like it. And indeed, I've seen many players, high-level tournament professionals included, who have tried out Unstable and kept playing it because of how much fun it is. Those pieces are hardly the only things contributing to the set's success. For example, a really fun Draft format is a huge part of it! Ben Hayes and his team knocked it out of the park. But these added elements certainly don't hurt, especially when drumming up attention at the onset of previews. Does this mean we'll just drop all this added material to attract other kinds of players if we do another Un- set? No way! Aspects like having cards for Cube and Commander are just good for a set like this to include, similar to why we include them in sets like Conspiracy. Special lands are a staple of Un- sets at this point. But we may shift around how we do it, or be able to increase or decrease the levels of how much we do, depending on the information we get back on Unstable. Despite the wide array of products, one constant in Magic is the main line of Standard-legal sets. 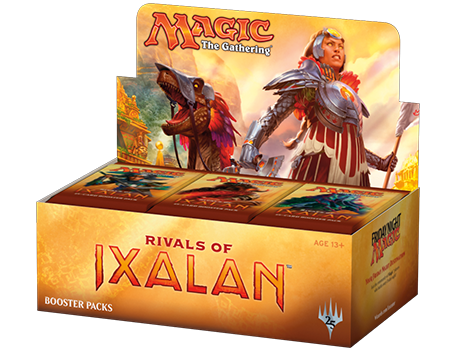 And right now, that of course is Rivals of Ixalan. These sets have to try and do the most—and there's a reason we put so much time and care into how we design them! We spend more time on these sets than practically anything else. Why? Because these sets must appeal to everybody to some degree. Standard play? Absolutely. These sets are going to have more impact in Standard Constructed than any other Constructed format, and we need to test that and craft cards for that environment. Draft and Sealed play? Of course. The sets need to be well refined, deep, and balanced so that Limited plays well. Modern, Legacy, and Vintage play? Yep. We always try to keep an eye toward including cards that players of these Eternal formats will be find interesting. Whether they end up making the final cut or not, we at least want cards these players can look at and try. Commander play? You better believe it. We're always making sure that we support Commander with new sets, especially when it comes to making ample numbers of legendary creatures and support cards. The list goes on and on and on. If there's a widely played format (or even not so widely played), there's a good chance it comes up at some point in discussion during a Standard-legal set's design. Even adding commons to Pauper play is discussed! And these sets should appeal—proportionally by format, of course—to Magic players in general. Most Magic players don't fit tightly into a neat little box. I, for example, play mostly Standard, Modern, Commander, and Cube. What kind of player am I? 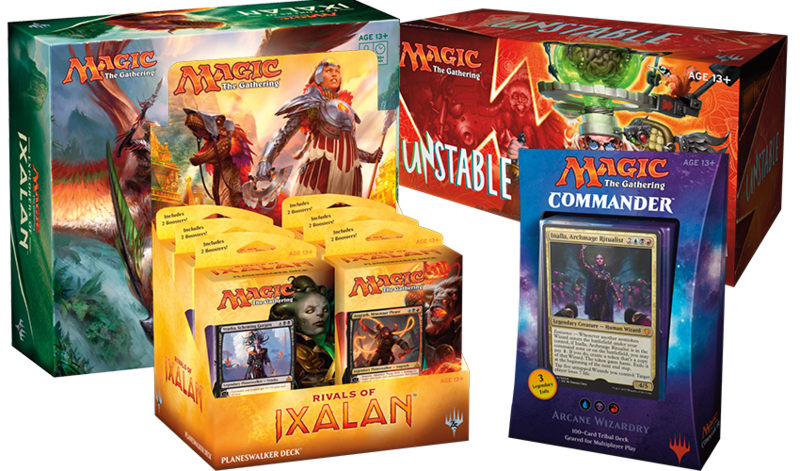 Well, maybe all of these other products hit me in some way—Commander for my Commander needs and Modern Masters for my Modern needs—but the main set booster pack is, ideally, the way I can get pieces for all of these formats. As a result, this is often where we try and put new cards that will hit a wide range of Constructed play. There may not be as many Commander cards in Rivals of Ixalan as in a Commander release, but there are certainly some. And, unlike Commander, Rivals of Ixalan also has cards for several other formats. We want all players to be interested in a given set, whether you're a Standard player or a Modern player. That's why you have cards like Blood Sun, for example. Imagine a world where our main-line sets were somehow only for Standard players. That would be telling a huge swath of the remaining Magic world to not pay attention when a new Standard set comes out—when in reality that's one of the most important parts of the year! A major lesson that has taken me many years to learn about Magic, all forms of entertainment, and really life in general is this: just because you don't like something doesn't necessarily mean it's bad. It simply may not be for you. There are a lot of audiences to hit. Our main-line booster sets are targeted toward everybody to different degrees, and then the rest of our products skew that target one way or another. So if a Commander deck (or a welcome deck) doesn't have a new Legacy card for you, don't worry—it doesn't mean we've stopped caring about Legacy. It's just not where we're trying to put that card. And from a product architecture perspective, we want to make sure the right cards go into the right places. We have big plans for the next few years, and I can't wait until you get to see some of the ways we're going to provide for particular audiences. Hopefully this helped give you a little more perspective on that process and how we choose to deploy certain pieces in certain places. Is there a product for which you'd love to know more about the audience and design? I'd love to hear from you! Perhaps it could even turn into a whole article. I'm always happy to field questions or suggestions on Twitter, Tumblr, or via e-mail at BeyondBasicsMagic@gmail.com. Speaking of finding a target audience, I'll be back next month to talk all about Challenger Decks. Now those are a product with a pretty specific audience! But you'll have to wait just a little bit longer to hear about them. Talk to you then—and have fun!